Location, Location, Location! One block from the Streets of Southglenn Shopping Center. This condo is an End Unit; you'll only share 1 wall with your neighbors. 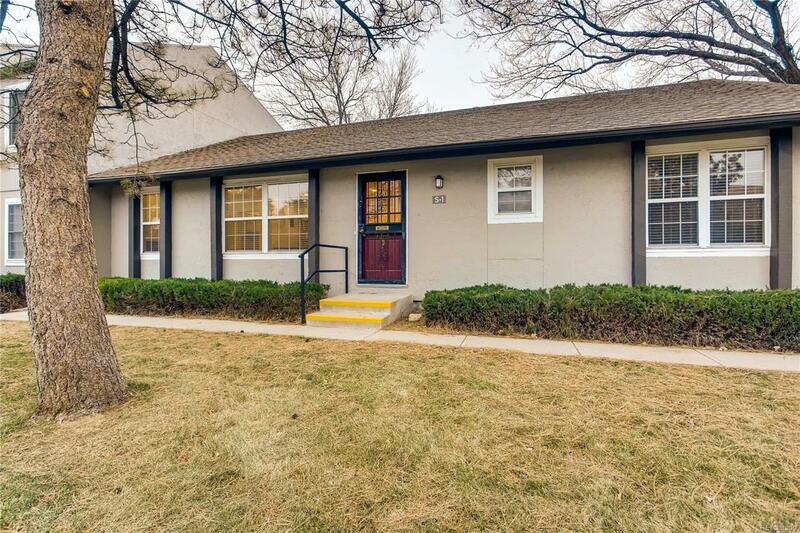 Ground Floor, Ranch Style, No Stairs, 3 beds, 2 baths, Condo has a small private yard and a doggie door. There's a community pool, one reserved covered parking spot AND additional storage.There's plenty of parking right outside at your back door as well. Washer and Dryer hook-ups inside your unit. This place leaves nothing to be desired. One of the bathrooms has been updated and the kitchen could use some updating, but it's priced accordingly. HOA is high, however it has so many benefits.